If you’re looking for an energy efficient HVAC unit to keep your home comfortable year-round, a heat pump is an excellent choice. These systems are able to both heat your home in the winter and cool it in the summer. How well your heat pump works is dependent on how its installed. For expert heat pump installation service in the Indianapolis area, choose Service Plus Heating, Cooling & Plumbing. Our team boasts industry-leading skill and technology, ensuring your installation will be done right the first time. To schedule your heat pump installation service in Indianapolis, Fishers, or a surrounding area, give us a call at (317) 434-2627 or contact us online today! When you call Service Plus for your installation service, you can rest assured that you’re in good hands. Our team will assist you in selecting a new unit that fits your needs and is the correct size for your home. We will then install the new system, making sure everything is working properly before we pack up. We’re also able to replace an older heat pump if your system isn’t working as efficiently as possible. If you notice your energy bills increasing, your unit requiring more frequent repairs, or its performance declining, you should consider replacing your unit for a newer model. We can remove the old unit and help you choose a newer system that will better suit your needs. Your unit isn’t performing well. If your unit isn’t working as well as it used to, you’re better off replacing your system with a newer model instead of simply dealing with your discomfort. Systems get stronger and more effective each year, and you could be paying the same monthly cooling cost with a lot more to show for it! Your energy bill prices are increasing. Efficiency has been the name of the game in HVAC technology for years now. Every year new systems come out stronger, better, and more effective than the last. You can use this to your advantage! Getting a new installation will likely save you money in the long run, especially if you intend to stay in your current home for the next few years at least. Your system requires frequent repairs. A system that requires yearly professional repair is simply no longer worth it. We’re proud to provide professional repair, but we’re not blind to that fact that it can get expensive! Avoid treading water, and make the move to get a new, stronger system for your home. Your current system is older than ten years. Heat pumps are quite durable, but past the 8 to 10 year mark, they begin losing effectiveness, become more costly to operate, and begin to need repairs far too often. If this sounds like your system, we think you know the best solution. Though heat pumps are built to last, they can only work well for years if they’re installed correctly. You can trust our team of highly trained technicians to perform your heat pump installation service correctly and to get it done in a timely manner. 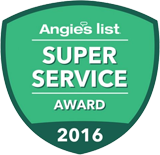 If you’re looking for expert HVAC service in Indianapolis, look no further than Service Plus. For more information on the heat pump services we offer, give us a call at (317) 434-2627 or contact us online today!